My friend Nanette sent out the article, "Your Life in Weeks" to our women's networking group. It graphically depicts what segments of your life look like from birth to age 90, first in decades, then years, and finally, weeks. The diamonds used for decades are huge when compared to the 52 squares on each row meant to represent one year of life. If you were pregnant and signed up for a certain website's weekly newsletters, you began to know you could look forward to your growing baby being described as some kind of fruit or vegetable on a weekly basis. A string bean, a peach, whatever it was, I know it helped me to imagine the beginnings of this new life. And since children complicate life in innumerable ways, I know I'm also not the only one who lives and dies by the Google calendar, with its three week window into the future. Measuring out my life in weeks isn't a new concept to me, yet seeing the scope of my entire life measured out that way was. 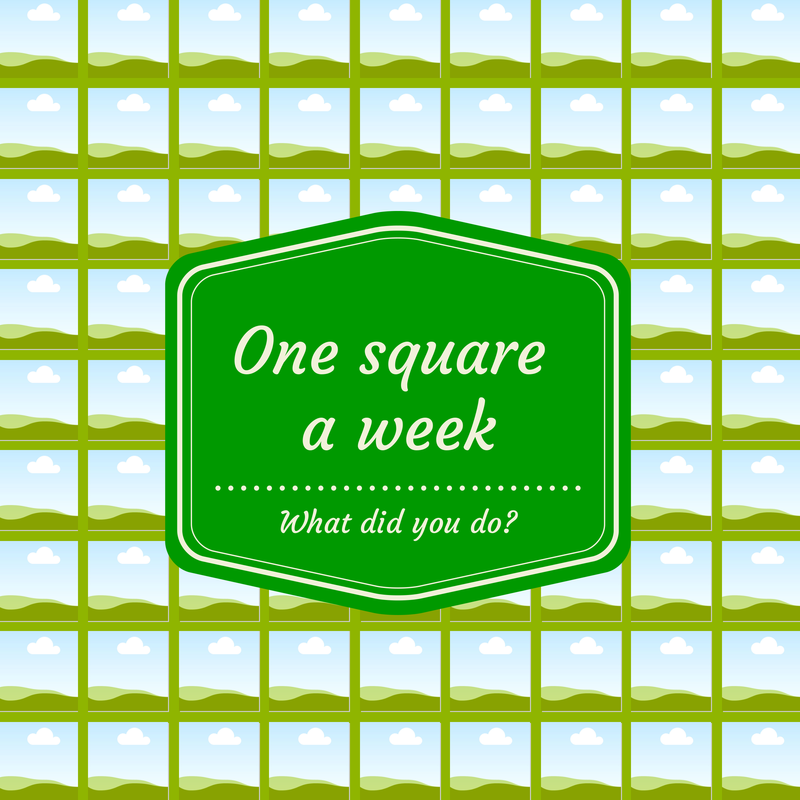 If I had many more of those tiny squares left ahead of me, I'd love to go back and plot out my life to the squares. With both of my children born in January, those would be easy to find. My wedding anniversary would fall right around the halfway point of another year. The day I moved to the Boston area to begin my college career would fall right near the midpoint of my life so far (in just a few weeks, I'll have lived as long in Boston as I did in Cleveland!). But the real point is that you should be using each of those tiny squares to make your life count, to be reaching towards whatever your goals might be. And because the concept of a week is easier to grasp than similar every day strategies (like "do one thing every day that scares you"), I'm going to try to implement it in some form. For now, it's becoming part of the task list inside my Google calendar. Instead of being a to do list, it'll help me to remember what's been done. I'm sure there will be weeks when nothing is done that moves me closer to goals that I have. I'll cut myself some slack when that happens. But honestly? One thing a week towards making me figure things out and push beyond my comfort zone? I think I'll manage. And I owe it to all those little squares to try. I try to do one thing a week too. Sometimes I even manage to one thing a day to work on my goals. I love the little squares concept. What a great way to think about it! Genius! So proud of the progress you've made already. I'm going to try it too! My list is so long, I have lists of lists... I just want to accomplish so much... Maybe this will help make it more manageable. Thanks! I love that you posted this, even if I'm not executing it. It's sat in the back of my mind all week, and it's made me have a great internal dialogue about what I need to do to move forward, even inch by inch.